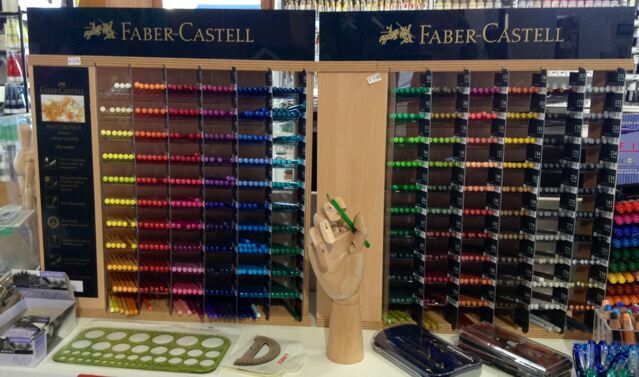 it’s taken me long enough to choose which ones I wanted a whole range of I must say but I’m really happy we now offer Faber Castell’s Polychromos in 120 colours. These pencils are highly pigmented of course and have a good lightfastness. They have a thick oil-based lead, are water resistant and smudgeproof. They are covered with an eco-friendly water based varnish and did you know Faber Castell plants far more trees than they use for their pencils… nice hey? and only $2.80 each! it’s was invented more for craft type projects as Decorfin relief paint is a water-based decorative paint for effects in relief on paper, wood, textiles, glass and transparent plastic glass (in combination with Decorfin Glass, it can give you a splendid stained glass effect). Ah but did you read textile (as in canvas then?) and paper (as in journals? etc) because what this paint does is create a fine 3D line that can serve as a partition between painted areas and / or, with its pointed nozzle, a very easy to control 3D line of any kind. 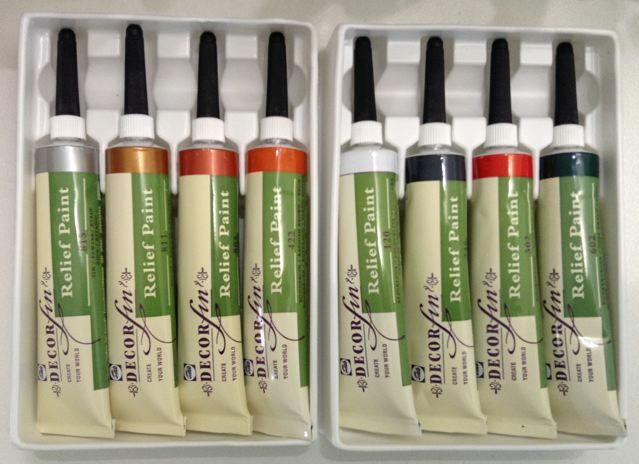 It comes in a choice of 15 colours (all at $12.10): dark red, green and blue, reddish brown and bronze, colourless, copper, gold, light gold and antique gold, lead grey, pewter, silver, white and we stock them all!